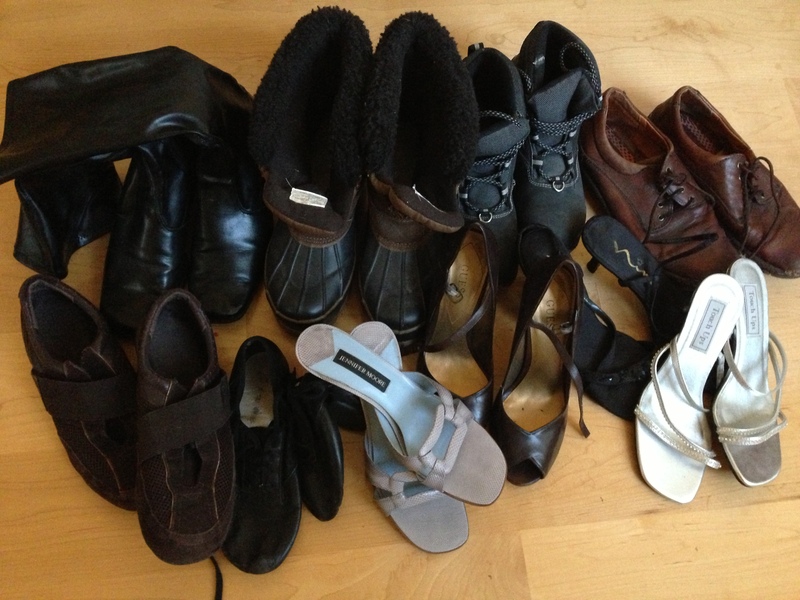 Clump #68: Start blasting through shoe snarl in bedroom. I’m ashamed to admit that, until yesterday, I still hadn’t confronted the horrible accumulation of old, nasty junk in our bedroom, after having vowed to do so in a (much) earlier post. But this blog is not about perfection. Otherwise, I would not still be clumping and writing. Slip-ups are inevitable. 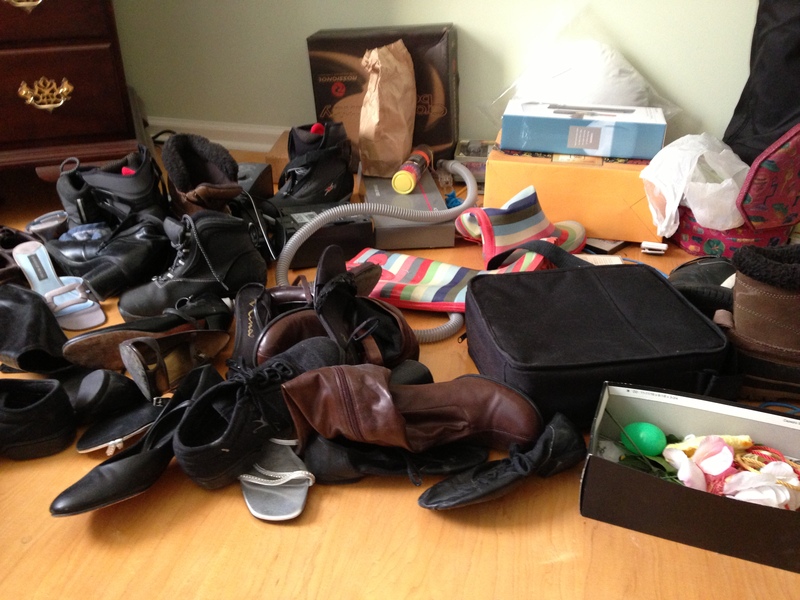 Sometimes the clutter-accumulation phenomenon defies all logic. Getting back on track without too much judgement or self-recrimination is what I’m focused on, because it keeps the job going. I saw this plaque at a friend’s house. 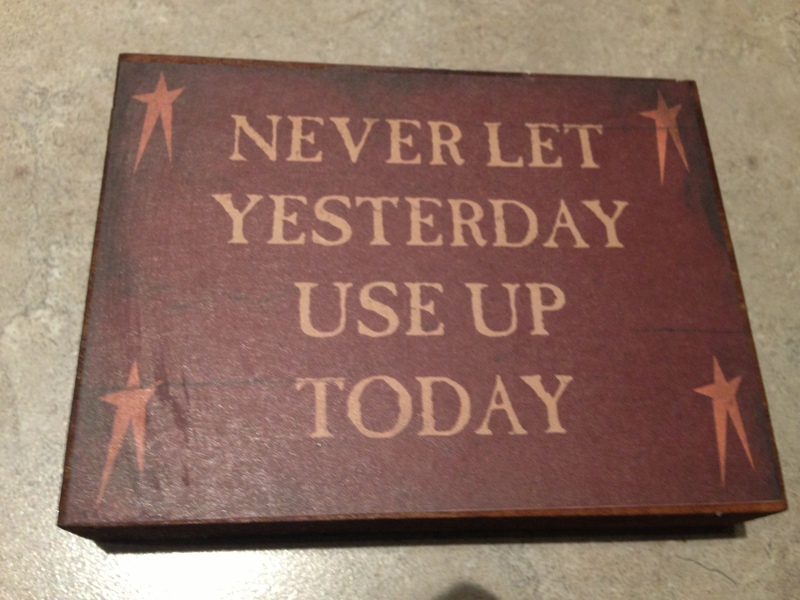 I could amend it by saying: Never Let Yesterday Fill Up Today. One somewhat logical reason to put off going through all this stuff is that most of the shoes and boots belong to my daughters. 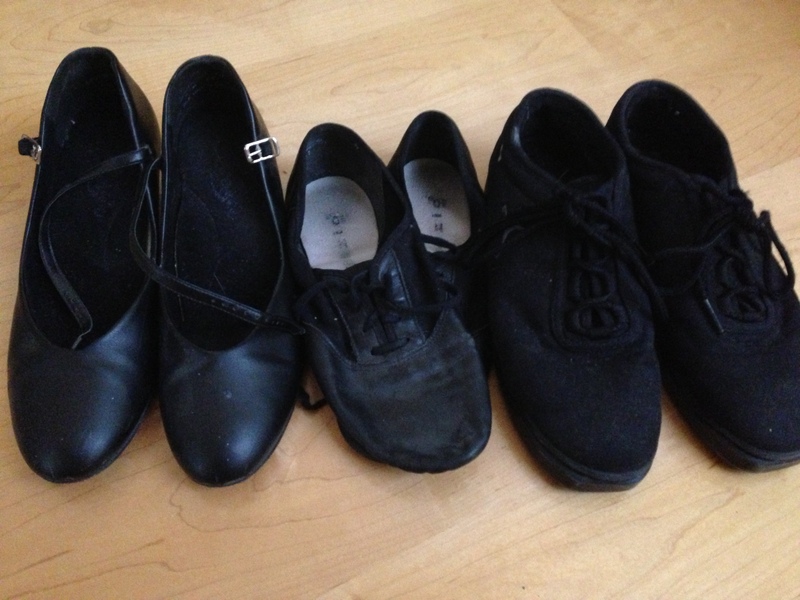 We’ve talked about “doing the shoes” many times, even possibly from a distance on Skype. But it finally came to pass on the very rare and precious day when they were both home together. 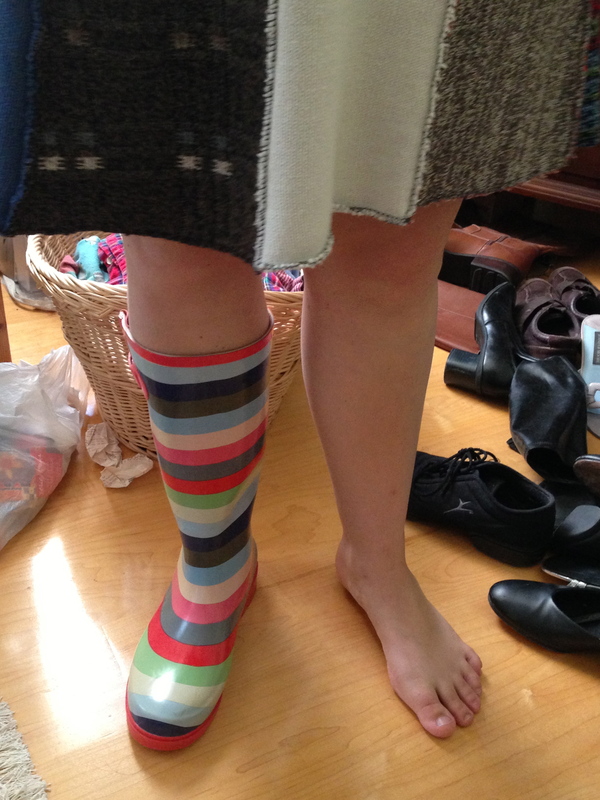 We discovered that the only item belonging to my younger daughter were these rainbow boots. She put them in her closet. What a novel idea! 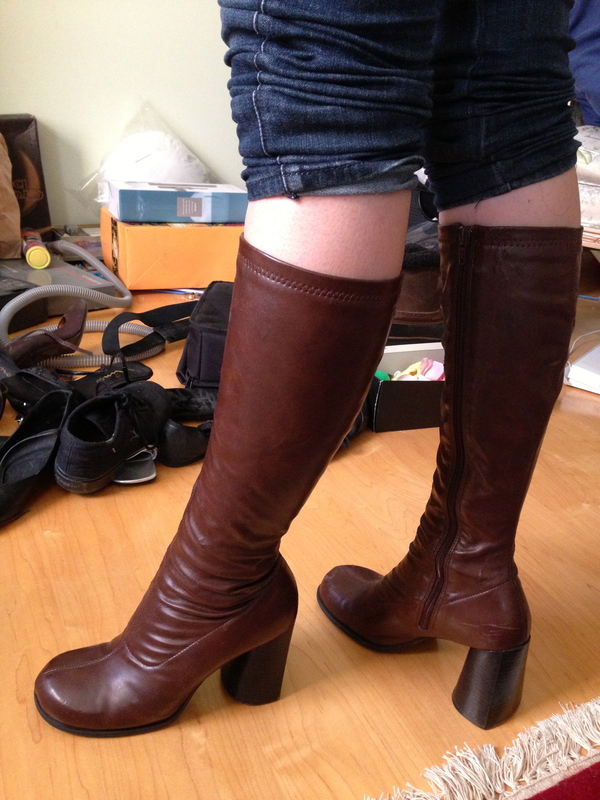 My older daughter will keep these funky boots we found at the Goodwill long ago when searching for costume material for a summer theater production of Sweet Charity. They lived on for Halloween and other funky occasions, and might still be treasured for more. 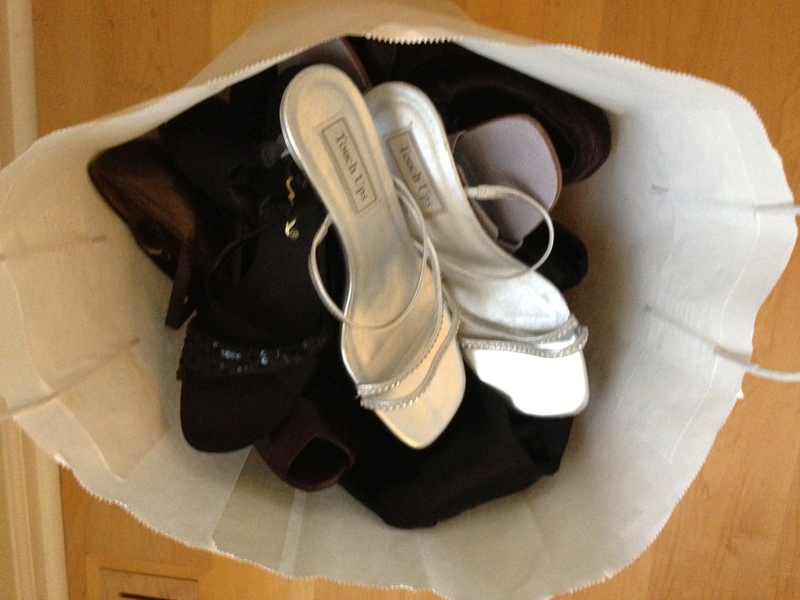 I’m hoping someone else will find the Goodwill a sweet charity for their fancy footwear.